Have you not heard yet? The last thing that has caused furor on twitter until go viral is to make an ID card of the dog, cat, bird or any other type of animal that shares with you your day to day. The initiator of this fashion is a Twitter user, @emrmuerta, who showed an ID card with the photograph and the signs of his cat. After a few hours, his tweet spread throughout the network, receiving thousands of responses with national identity documents of the doggies and kittens of his followers. To this day, his message on the networks continues to win likes, retweets and a lot of nice replies with fun IDs of all the PetLovers that follow him. We teach you how to join the latest fashion: pet ID! 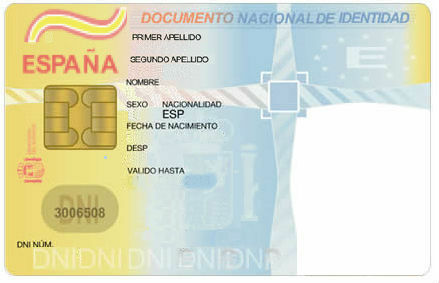 The template of an unfilled ID that you can find here. The online image editing program 'Canva' that you can find here. This software will allow you to do the assembly for free and it is very easy to use. When you have the photo and the template of the document enter canva.com and access it using your email or login with your facebook. Select the option 'create a design' and then 'use custom dimensions'. Enter the dimensions of an ID: 85,60mm wide and 53,98mm high and click on 'design'. Now you just have to go to the browser on the left and select 'uploads' and 'upload your own images'. First, upload the ID template and then the photo of your furry friend, move it until it fits in the blank canvas on the right and until you are satisfied with how it looks. To finish, just select the option 'text' and fill in the corresponding spaces: your name, surname, address ... If you want to give a more professional touch, download an image of a dog or cat footprint from Google and add it where the signature should be. Make sure that this image is .png so that it has no background. Once you have it all go through our facebook and share it, we will love to see how you managed to build it! Of course, also visit the twitter profile of the user who started it and answer it with your dog's ID, so you will be part of the latest fashion of this popular social network.